Run, Walk or Crawl at Lake of Isles Golf Course, in the 9th annual 5K Robbie's Run for Grampy's Charities. 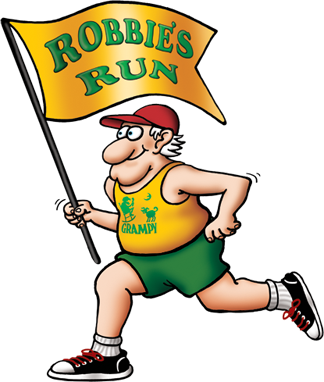 Invite your friends to come cheer you on as you participate in 5K Robbie's Run. After running, all participants are invited to enjoy our all you can eat and drink Grampy's Famous Gala at Mohegan Sun's BALLO Italian Restaurant. To join us in this great event, raise $500 or more in donations for Grampy's Charities. You can register online now, or download a registration/sponsorship form (PDF) you can mail in later. Collect $500.00 or much much more! Direct your supporters to donate in your name online. View the sample solicitation letter (PDF).